Architect 3D is a Home Design application that allows you to design, equip and decorate your home and garden in 3D. Design your creative project step by step and room by room, from the basement to the loft space. Draw up plans of your house, equip your interior and exterior areas and add your own personal touch to your living space. A virtual tour and extremely realistic 3D rendering allow you to review the results. 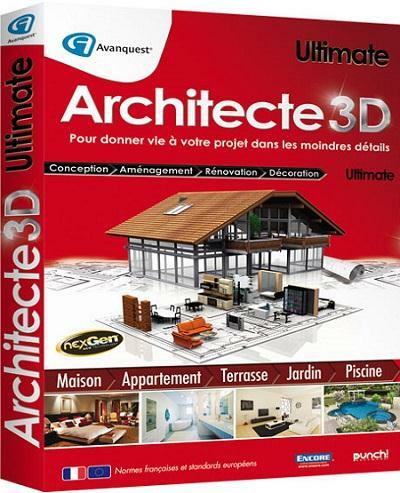 Architect 3D Ultimate brings you all the professional tools you need to design your home and garden. Achieve a dramatic effect by adding columns to any of your rooms. It's simple to do as they automatically resize to match the ceiling height. Set Cap, Shaft and Base styles independently from a library of column components. Drag and drop objects directly into 3D view!